The Congo is a dangerous place, even for people who are trying to do good. 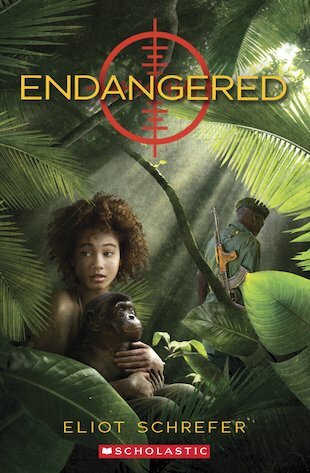 When revolution breaks out and a mum and daughter’s chimp sanctuary is violently attacked, they must rescue the bonobos and hide in the jungle. Together, they must fight to keep safe, to find food and to survive in the unforgiving world of the jungle. But even if they survive the perils of nature, the pitiless human warmongers are still out there… A compelling tale in which safety is sidelined and sacrifice comes to the fore. Will the pair’s bravery be enough to save the day in this desperate situation?